There are many kinds of clever software available now that allow you to create your own designs for any number of purposes, from custom printed clothing to advertising banners, and even designing your own logo. 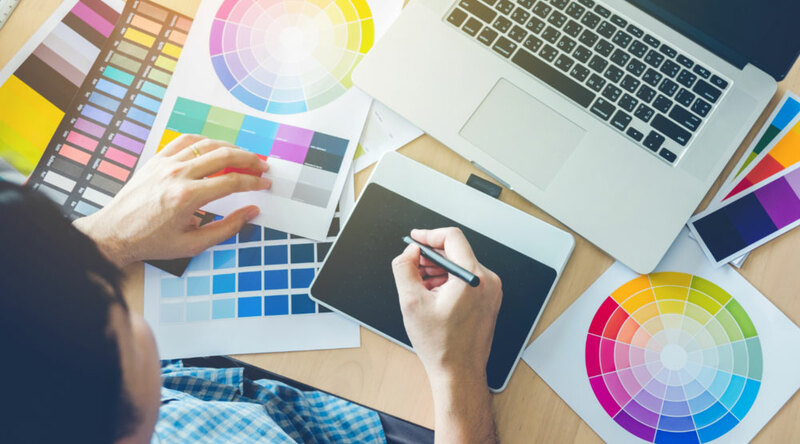 It might seem like there’s not much need for the business owner to use a professional graphic designer when there’s so much technology taking the mystery out the design process. In truth, there are many reasons why employing a professional graphic designer will give you an advantage, such as the following seven. Unless you are supremely talented and possess graphic design skills yourself, you won’t be able to create and produce publicity materials to match the professional quality of a skilled graphic designer. You might feel impressed with what you can create with a piece of free software, but a professional graphic designer has access to a whole range of tools and software programs that enable them to create designs at the cutting edge of technological possibility. The best graphic designers are also talented artists, and they have the understanding of visuals that provides you with the most appropriate and well-rendered images for your marketing. Using a software program by yourself doesn’t have the advantages of working with someone who has the skills and expertise to bring your ideas to life in the way you could if you were working with a graphic designer. Graphic designers can lend their hand to a wide variety of different media forms and marketing materials. For example, if you’re planning to attend a trade show and have a stand to promote your business, you probably wouldn’t be able to create your own booth without a great deal of sweat and tears; and even then it may not look that great. What you need is a professional who knows how to design a perfect 20×20 trade show displays that command people’s attention and look truly impressive. You might think that hiring a graphic designer isn’t justifiable on the basis of cost, and no, they aren’t going to be cheap. However, the quality of their work will increase your revenue far more than home created efforts that aren’t up to the mark. You’ll also be freeing up time for yourself and possibly some of your staff too, which you could use far more productively. You could easily spend two or three times as long working on marketing campaign materials as a good graphic designer, yet still not match the quality of their work. Engaging an outsider could provide you with a valuable alternative point of view. Seeing your business and marketing through a new pair of eyes could give you new insights and ideas to improve the materials and make them more effective. Graphic design is a highly skilled role that combines artistic flair and technical expertise to produce the best possible publicity materials for your business. If you want professional materials and value for money, then you could be much better off hiring a designer than trying to do the work yourself.